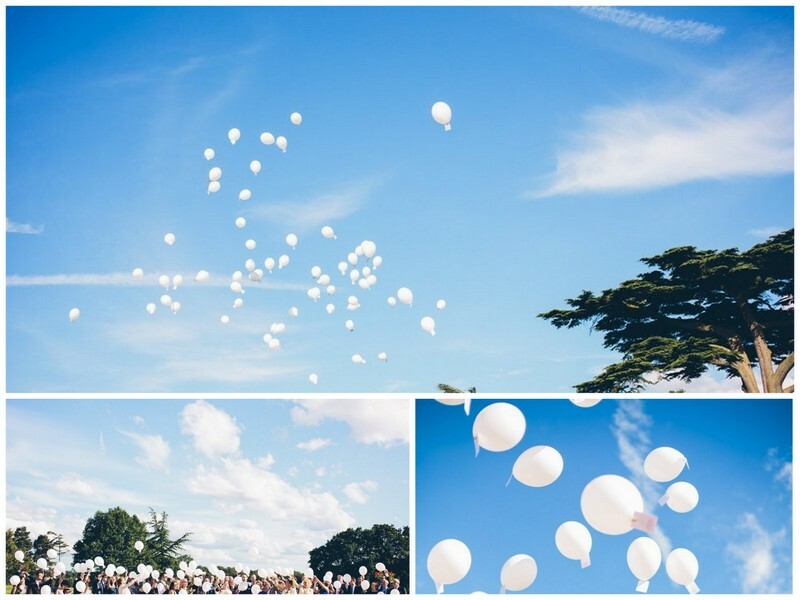 Today we are delighted to share with you one of our real weddings from the Summer of 2014. 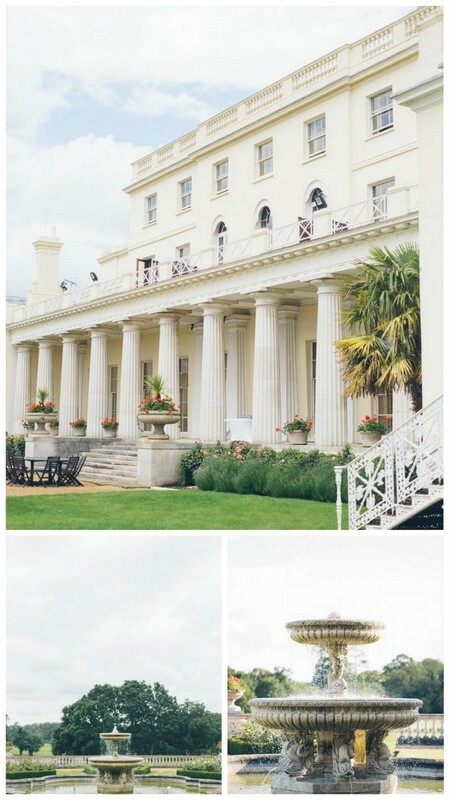 Anna and Michael designed an elegant and romantic summer wedding at the beautiful Stoke Park in Buckinghamshire. 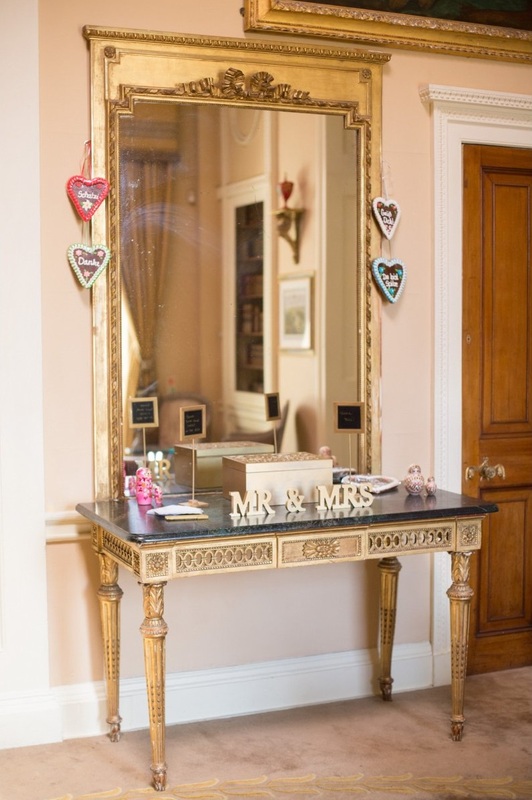 They found us as their wedding day was getting closer, and wanted our help to recommend suppliers, assist with the design and to ensure the whole day ran exactly how they wished it to be. Working closely with this incredibly organised Russian bride and her German groom, we assisted them to design and plan the wedding in an amazing jam-packed 8 weeks together. 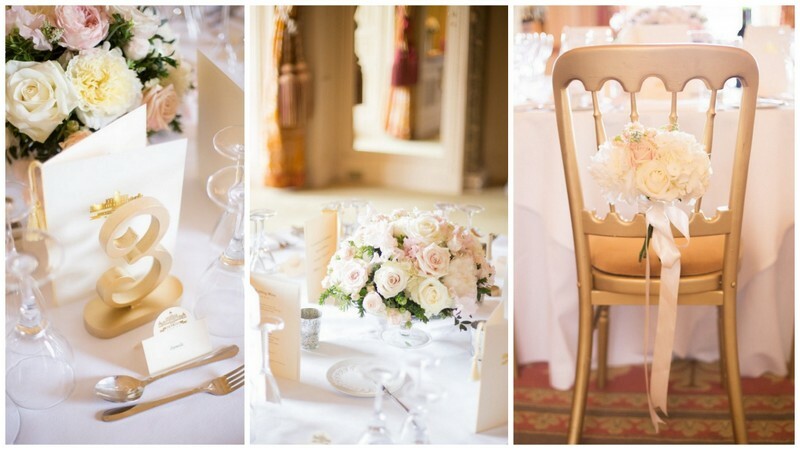 Anna had exquisite taste and knew the exact style she wanted for her wedding – chic, sophisticated, soft and romantic. They also both wanted the day to be fun for their 75 guests, and most importantly, full of music. 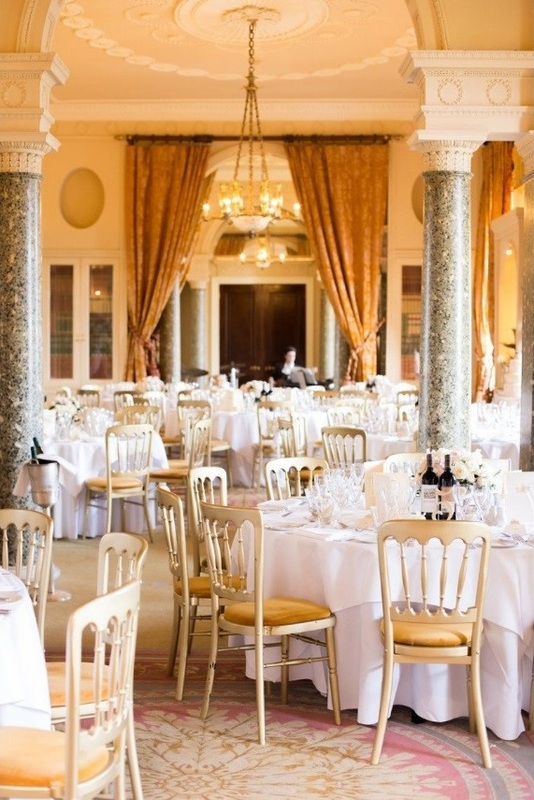 The ceremony took place in the stunning Ballroom, which was decorated with gorgeous flower arrangments by one of our favourite florists, Chantal from Chantal Flores Design. 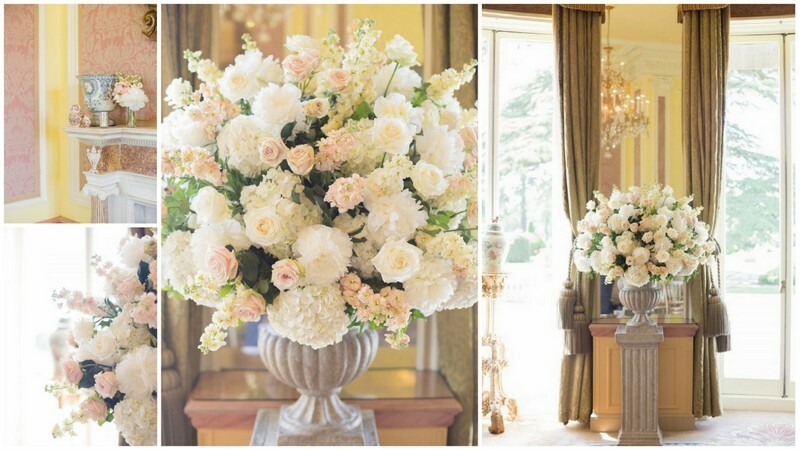 The wonderful thing about having a June wedding is the array of flowers that are in season at that time of year, so the arrangements were full of soft pink and cream peonys, David Austin roses and sweet peas. The fragrance filled the room and I think you will agree they are absoltely beautiful. 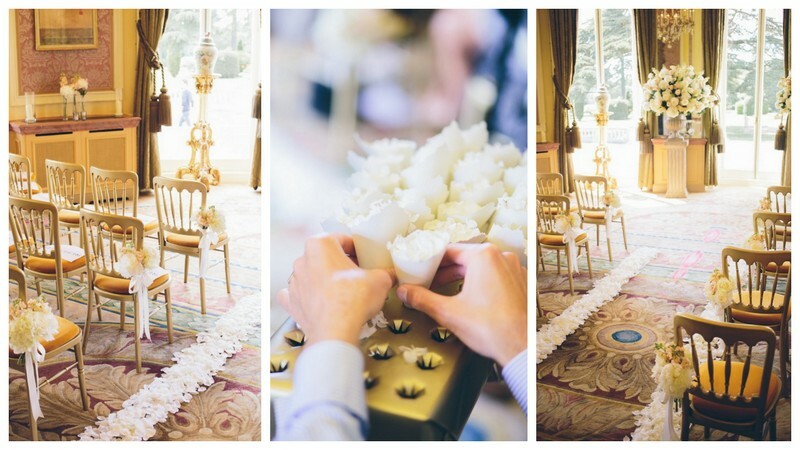 To mark the aisle the Stylish Events team laid fresh rose petals and we also created and made the confetti cones which were thrown by the guests to congratulate the Bride and Groom on becoming husband and wife. 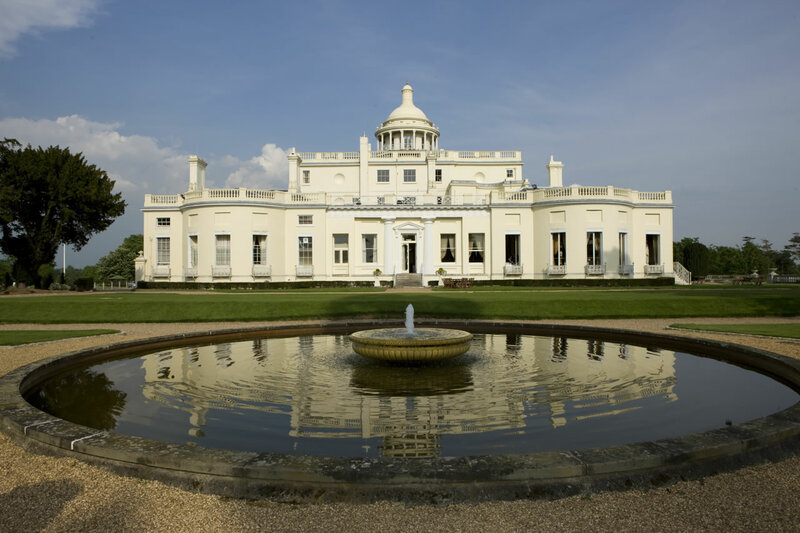 Following the ceremony the drinks reception was held on the terrace overlooking the glorious grounds of Stoke Park. 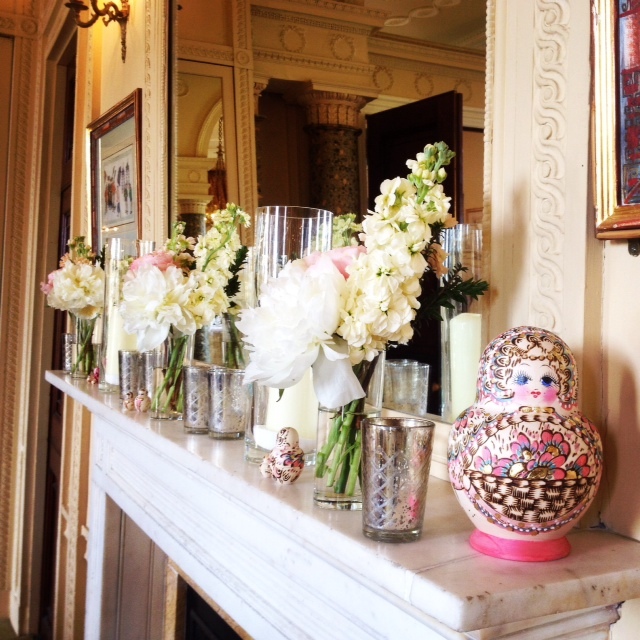 Guests were treated to afternoon tea, including cupcakes topped with Russian dolls, whilst playing croquet and accompanied by music from one of our favourite DJs Mighty Fine Entertainment. Just before dinner the Stylish Events team handed out 100’s of balloons to the guests for a balloon release, which was such a lovely touch to the day. 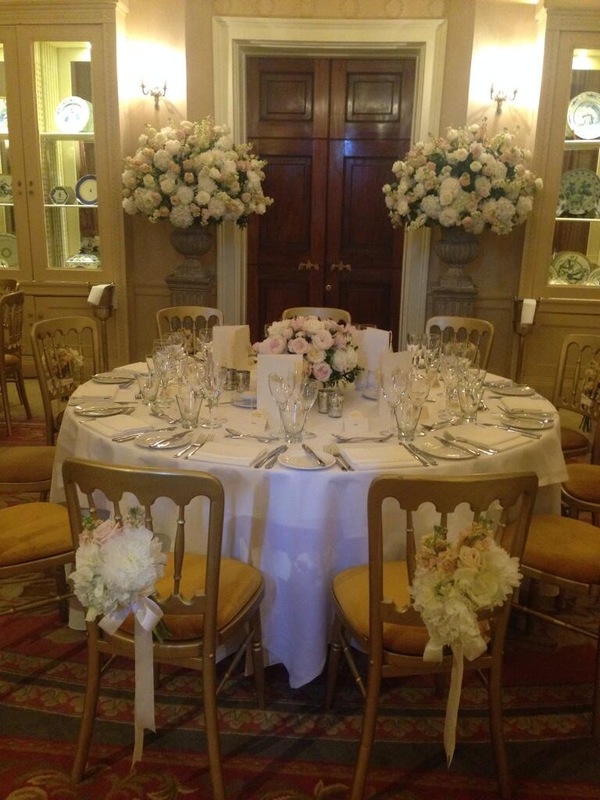 The wedding breakfast was held in the gorgeous Fountain Room, which was again adorned with elegant flower arrangements and centrepeices by lovely Chantal of Chantal Flores Design. 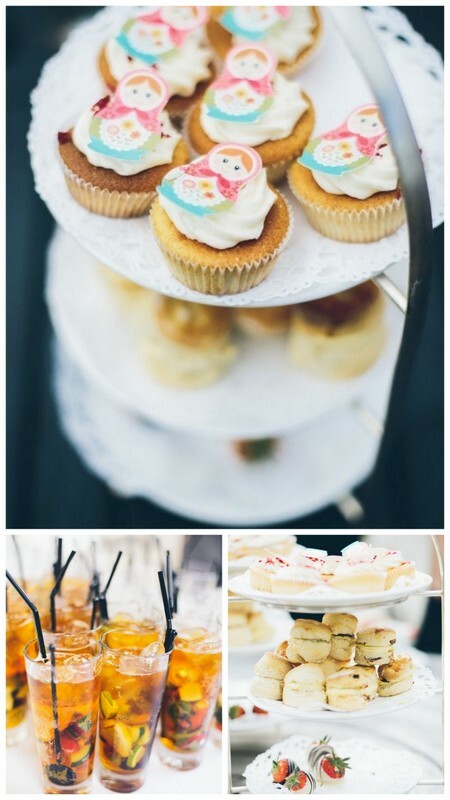 Special touches were sprinkled around the venue to embrace the cultural heritage of Anna and Michael, including Matreshka dolls, German gingerbread hearts, a monogrammed golden post box and on the bar there were giant pretzels and mini schnapps bottles. After dinner Anna, Michael and their guests truly let their hair down and enjoyed great music from Metropolis Live, followed by a DJ set from Mighty Fine, accompanied by a sax and bongo player, well into the wee small hours of the morning. There was also a great disco photo booth from the team at The Mighty Booth. 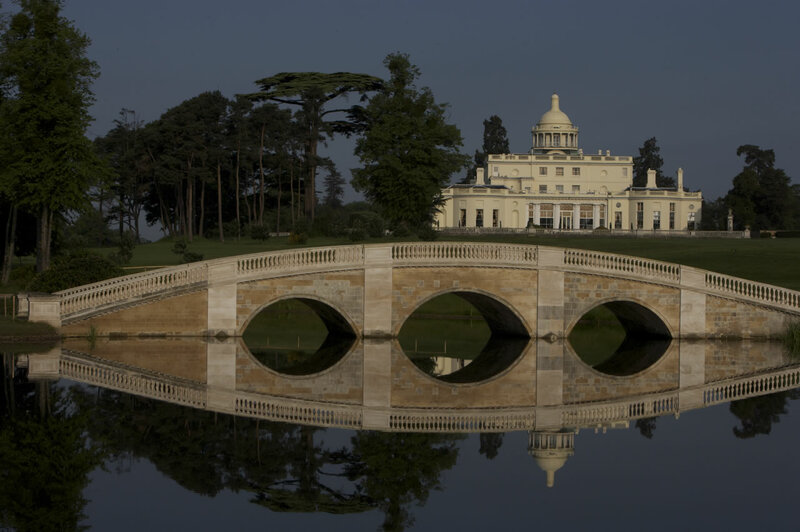 We have been lucky enough to organise a number of Russian Weddings in the UK, mainly due to amazing Marina, who is our Russian wedding planner. She was able to assist all of their Russian guests, particularly those who only spoke Russian, so they could enjoy this magical day. 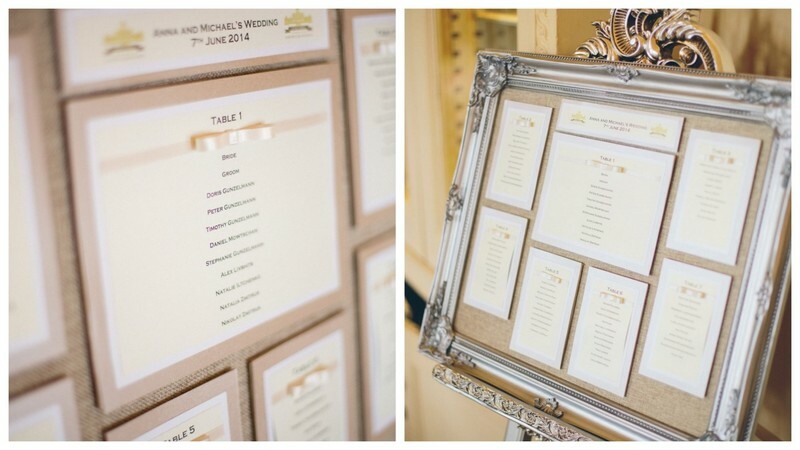 Marina also hand-made this beautiful Table Plan. 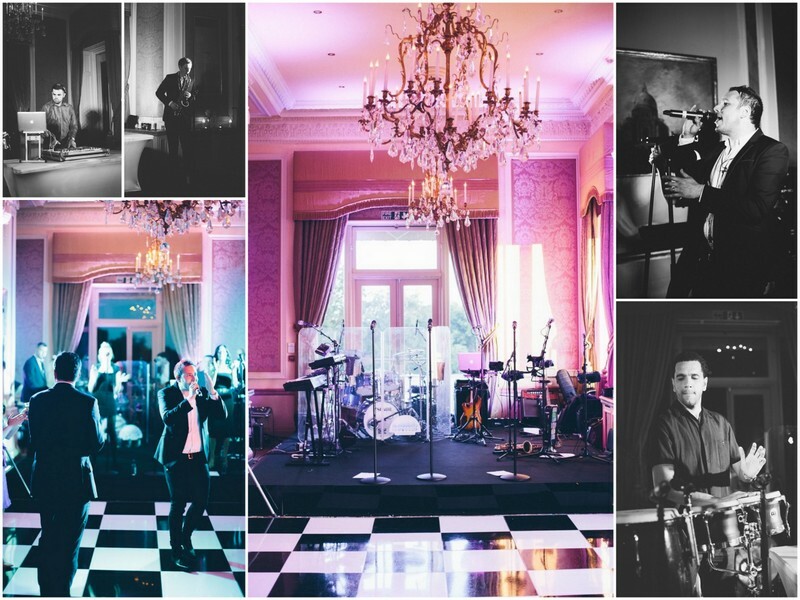 The Stylish Events team would like to say huge thank you to all of the suppliers for their great work. It was such a pleasure to work with all of you. 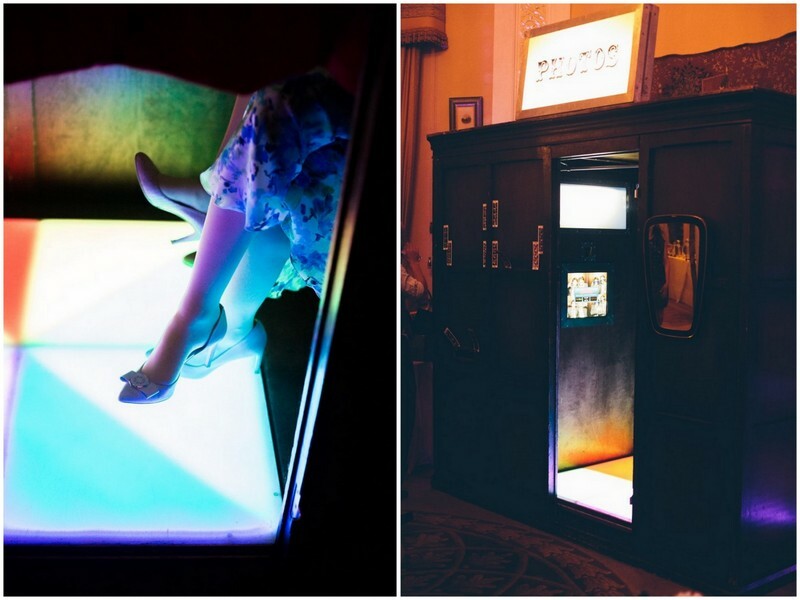 This entry was posted in 15th Anniversary of Stylish Events, Real Weddings, Wedding Venues. Bookmark the permalink.